Biogenics Crysalys PTC-9500 Programmable Cryochamber Liquid Nitrogen Mobile ET . 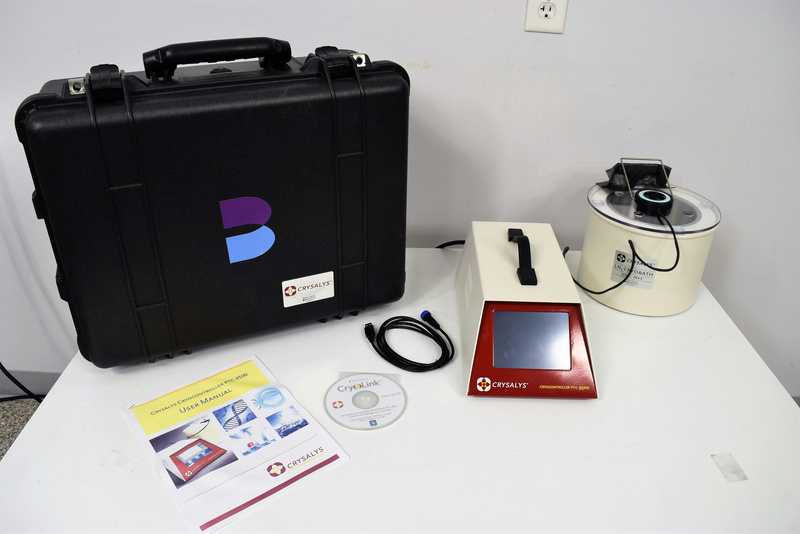 New Life Scientific, Inc.
CRYSALYS is the culmination of 23 years of experience in meeting the requirements of practitioners worldwide, the Crysalys PTC-9500 has it all: User-programmability via touch-screen or computer. Built in, light-weight lithium-ferrous battery UPS. User-friendly graphic interface. Alarm presets defineable by the user. The controller automatically adjusts for any (90-264VAC) local mains voltage worldwide. The internal memory holds up to 16 programs, while the SD card, records all program data with enough room to log approximately 100,000 programs with a data point captured every six seconds. The PTC-9500 brings together all this, and much more. New Life Scientific technicians tested this unit and evaluated its cosmetic condition. The programmable cryochamber controller is functional and in excellent physical condition. The controller has a built-in battery-backup system to ensure there is uninterrupted power for monitoring and maintaining the chamber. The internal battery was tested and held charge. This functional instrument is in excellent cosmetic condition. -Sturdy Luggage grade carry case with wheels and self contained handle. Tested, in excellent cosmetic and working condition.